The Hayle CCT met with REGENSW, who are already experienced with projects related to Hayle harbour. After receiving their proposal they were selected to write the proposal and business case for developing Hayle Harbour. A short summary (2/3 pages) of the key project objectives, recommendations, opportunities and economic impacts which can also be used as a standalone “pitch” document. 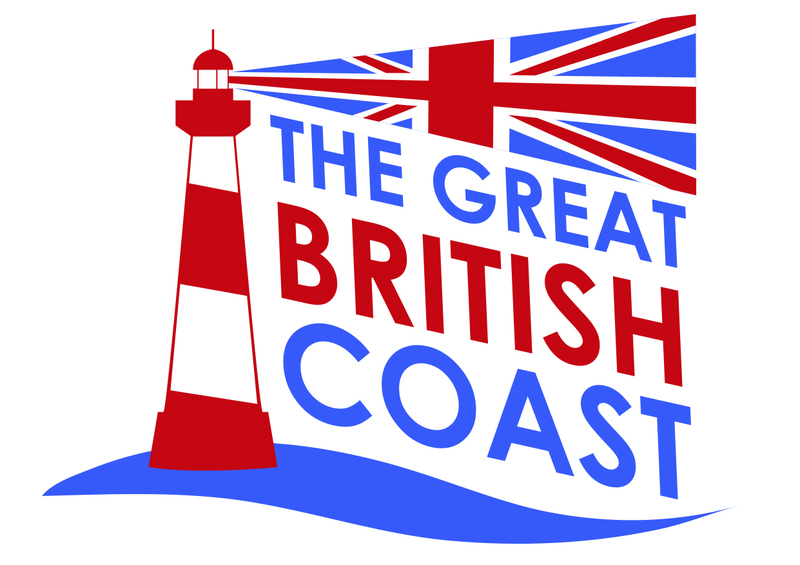 Very brief introduction to the Coastal Community Team Project – objectives and activities. A very short history and context setting for the harbour, including current industries and users of the harbour. Critical importance/value of the local environment including beaches and estuarine habitats. Setting out the strategic importance of Hayle highlighting:- position on north coast, rail and transport links, assets and capabilities, local industry, recent investments eg MRE Business Park, critical for success of wave hub and Cornwall’s marine ambitions, Enterprise Zone potential and synergy with other key marine centres such as Padstow, Falmouth, Penzance/Newlyn and Plymouth etc. Key message – that Hayle has a fantastic opportunity and is of strategic importance but that an operating harbour is critical to unlock the potential of Hayle, realise the benefits of key investments and support the growth of the wider Cornish marine industries. A brief summary of the harbour access challenges which the project has identified highlighting changes in the channel and silting in the harbour area which has led to restrictions in access and the impact that this has had on existing and new marine users. Evidenced by pictures and citations from previous reports, local experts and harbour users. Also to highlight the difficulty of marketing and promoting the overall Hayle offer and opportunity, and the risk that Hayle is overlooked as a destination for new marine businesses, jobs and innovation. Consensus, options and proposed solution. For all the above the report will acknowledge and highlight that more work will be needed to survey the channel, quantify volume of materials to be moved, estimate costs and monitor baseline and impacts. However the approach proposed by the Community Team is to begin an incremental programme of actions and to actively monitor impacts both on the channel access and environment i.e. a “deploy and monitor” approach. Note: The requirement for consent and licensing for the above measures is a little unclear. Some could be initiated without a new marine license but this needs to be investigated by the team. Key message: There is a consensus on a proposed approach and a number of viable options which in combination are expected to greatly improve harbour access. More work could be done to fully analysis the options but the proposed approach is to begin an incremental programme of enhanced sluicing and plough dredging and to monitor both the effectiveness and impact of measures. Bringing the harbour back into effective operation will in turn unlock further commercial/growth opportunities and investment options. Outline of costs for the proposed options. At present there are some ballpark figures and there is probably more work needed to firm up on the costs – let’s discuss how to do this. This section of the report will also highlight supply chain growth, inward investment and job creation opportunities. High-level numbers for future jobs will be identified. Key message : Improving access to the harbour will create immediate benefits for harbour users and increased revenue for the harbour. It will also lay the foundation to unlock future growth potential. A summary conclusion of the work of the Coastal Community Team and set of recommendations. This section will also be used to document further work and actions that are required. Also to identify future investment options and proposals which could form part of a larger project proposal for eSIF funding etc. The government has provided more than £1 million to fund Coastal Community Teams to help bring jobs, growth and prosperity back to our beach towns and cities. The teams – bringing together local business, councils and people – will help coordinate regeneration projects in their area and get the chance to shape the next wave of the successful Coastal Communities Fund, announced in the Budget last week. Who is Leading the CCT? 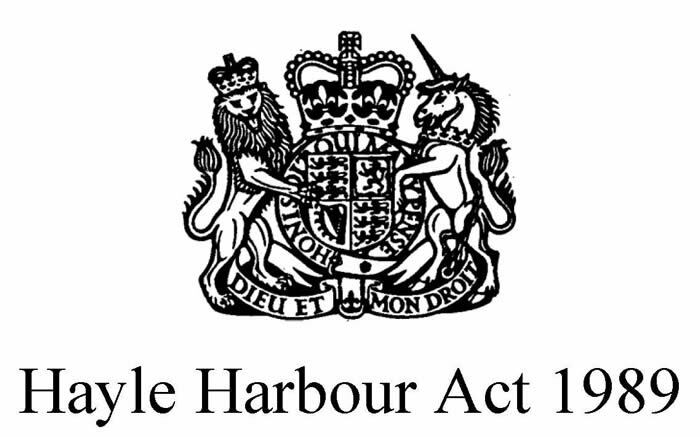 The application was made by the Hayle Harbour Advisory Committee (HHAC), set up under the 1989 Hayle Harbour Act to advise the Harbour Authority. It comprises over 20 harbour, community and statutory agency stakeholders including councillors, the Chamber of Commerce and harbour users. It is anticipated that the CCT will be a sub-committee of the HHAC, but another arrangement could be considered. Who is the Accountable Body and Managing the Funding? Members of the team could be drawn from any part of the community who have an interest in their area being successful. We would also expect to see existing groups joining the team, such as local voluntary and community organisations, the town team and Business Improvement District (where these are in place), major local employers and representatives of important local assets, such as a major local tourist attraction. We also envisage the involvement of Destination Management bodies where relevant. Coastal Community Teams should have an understanding of the economic issues facing their local community and should develop a plan for making improvements. This may build on existing work which is already underway or could be an entirely new initiative. One of the main aims of the Coastal Community Teams programme is to encourage greater local partnership working in coastal areas. We are therefore looking for applicants for Coastal Community Teams to demonstrate that the creation of a Team will have local support and will increase the level of partnership working and coordination already in place in the local area. Applicants should set out how a Coastal Community Team will improve and build on existing arrangements, and should set out the range of organisations that are supportive of the Team. Another aim of the programme is to support the development of local solutions to the economic issues facing coastal communities. We are therefore looking for applicants to show understanding of the issues affecting the area, particularly as regards constraints to growth. We also want applicants to set out (in broad terms) how they see the Team helping to overcome these issues and what the overall vision is for the future. As mentioned above, Coastal Community Teams will be expected to produce an economic plan for the area that they are focussed on. The format of this plan will not be specified, but it should contain information on the needs of the area and the challenges it faces, particularly with respect to the local economy, along with the actions that the Team has agreed should be prioritised to help address those challenges. The plan should set out identified means of delivering the actions, such as possible sources of funding and support, or the further work which is needed to develop solutions. The plan for the area produced by the Team should be made publically available and should be published, at the latest, by the end of January 2016. Applicants will need to set out clearly how they intend to draw up their plan for the area, the timescales involved in achieving this and how the £10,000 will be used, including the outputs that will be delivered. We expect that the funding will be used to support production of the plan, but some or all of it could also be used for other activities. Either way, the application form should be clear about how the funding will be used. Coastal Community Teams will be expected to be open and transparent about their activities. We will expect the Team’s membership to be publically available on the local authority’s website, member organisation’s websites and/or their own website. Once the Team has prepared their plan for the area this should also be made publically available. We will also want this information to be accessible via the Coastal Communities Alliance, who will provide overall coordination for the programme and support to Coastal Community Teams. All Coastal Community Teams should take steps to encourage local engagement with their work. What Have We Said in Our Application? 4.4 Will the Coastal Community Team be based on an existing partnership? If yes, please give brief details of the history of this existing partnership and how it will change (if at all) to become the Coastal Community Team (e.g. if there will be changes to membership, constitution or governance arrangements). The Hayle Harbour Advisory Committee was set up by the 1989 Hayle Harbour Act to be a body of stakeholders to advise the harbour operator. It comprises virtually all of the harbour users including commercial fishermen, leisure boat owners, statutory bodies, kite surfers and others such as the Chamber of Commerce and local councillors. The HHAC will not change, but a subcommittee will be formed to progress the Coastal Community Team project and to bring in additional members, as appropriate. The HHAC is already a partnership of a wide range of organisations concerned with the safe and varied use of the harbour. Because of the breadth of its membership it already benefits from broad community support. We expect that this project will cement the partnership working by providing funding for the valuable and community-supported aim of improving the harbour and estuary and thereby providing benefit to the town of Hayle. We also intend to partner with local higher education establishments to assist in preparing a plan of high technical quality. 6.1 Another aim of the programme is to support the development of local solutions to the economic issues facing coastal communities. We are therefore looking for applicants to show understanding of the issues affecting the area, particularly as regards constraints to growth. Please use this section to set out (in broad terms) what the economic issues are that the area is facing, how establishing a Team will contribute to addressing these issues and what the overall vision is for the future of the area. Hayle was once a major centre of the Industrial Revolution and, at one time, over 80% of the world’s steam engines were manufactured here – and shipped through our harbour. Having been in decline since the closure of the once great Harvey’s Foundry in 1903, the harbour, and the town, has been in desperate need of regeneration. All of the harbour and much of the town is now a World Heritage Site, and while some repairs and improvements have taken place, we need to improve the estuary channel and draw in new marine users to make the harbour vibrant and financially sustainable. Sluicing, a vital part of estuary management, is due to be restarted shortly, but additional work needs to be done to make the waterway deeper and safe for larger vessels. Hayle is the home of the innovative Wave Hub, a test site for large wave power generators, and support vessels need better access. Larger leisure vessels also need a safe haven on the north coast of Cornwall and Hayle is ideally positioned for this. Hayle harbour is right in the centre of the town and it has traditionally been at the centre of commerce as a major source of jobs. An active, growing and vibrant harbour will again be a catalyst for growth in the town which is in one of the poorest parts of the UK. 7.1 Applicants should set out how the Team will draw up their plan for the local area, the timescales involved in achieving this and how the £10,000 available will be used, including specifying outputs that will be delivered. It is expected that the funding will be used to support delivery of the plan but some or all of it could also be used for other activities if preferred. Please use this section to set out how the available funding will be used, how the plan will be produced and the expected timescales for delivery of outputs. Please note that the funding should be spent by the end of March 2016. The HHAC subcommittee will work with experienced local personnel, the Harbour Master and academic and council partners to draw up a detailed plan for regenerating the harbour and estuary with the focus on actions that will act as a catalyst for revitalising the town. We will seek the support of academic and business partners to ensure the plan is technically feasible and make sense financially. The plan that will guide short and medium term harbour improvements and will allow us to seek further funding for implementation. Create a small consulting team, qualified and locally experienced, to identify harbour works and the resulting potential harbour benefits. £5k. Complete by 31 December 2015. Prepare an Economic Plan quantifying the costs and benefits of improvements to the the harbour and the overall contribution to the town of Hayle. £5k. Complete before the end of March 2016. Rapidly produce a concept that complies with the terms of the grant, is acceptable to the Accountable Body and is useful for Hayle – ideally positioning us for an additional £50k grant.